Many people find a glass of wine to be very relaxing. 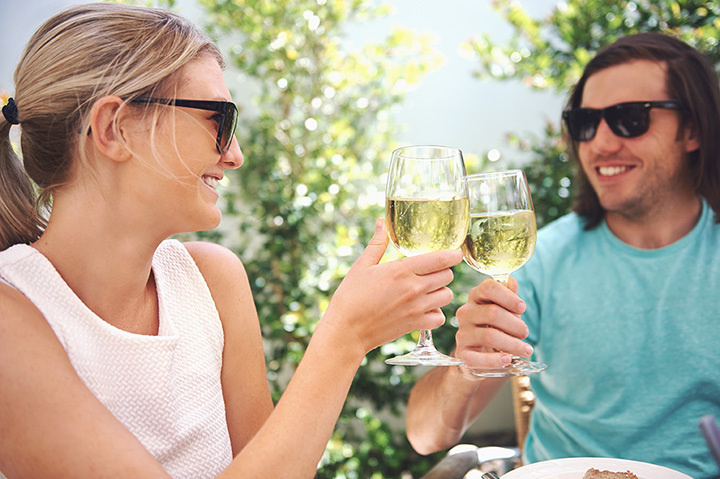 Others enjoy sharing a bottle of wine with friends for a lively night out. Whether you want a quiet place to sample local favorites or something a little more social to pass the time, there are plenty of fun spots to enjoy wine by the glass or bottle. Plan to check out a few of our favorite wine bars in Nevada the next time you want to try something new. Enjoy a glass of wine in a relaxed, local friendly hang-out. You may find yourself entranced by the local art in the gallery, or tapping your toes to some live local music. This is a fun spot to meet friends and enjoy some hard to find wines. With a collection of over 10,000 wines by the bottle, this place truly offers something for everyone. They also have 100 wines by the glass. The atmosphere is intimate so this makes a great date night destination. A small spot that transports guests back to a lost era in Tuscany. The feeling of this cellar is rustic yet classy. It is a favorite stop on the way home from Lake Mead for many. They have a full wine menu and small plates to complement your selection. Authentic taste pairings is the name of the game for this local favorite. The tastes do not get any more old world and the selection of wines pair perfectly with whatever meal you order. They also pride themselves on offering several classes on tasting and social events. Education and the pure enjoyment of wine is the focus of this retail and tasting center. They have an in-house sommelier, Simon, who is well known for his worldwide appreciation of wines. You can find everything from great California wines to something a little less known. Visitors enjoy the unique take on wine tasting. Guests can sample wines through their state of the art self-serve dispensing machines. The decor is hip and open for socializing. This tasting space feels more like a swanky party than anything else. This small wine retailer delivers big on making tastings enjoyable. They are famous for their tastings that showcase local brands. Programs like their reward cards offer added value for locals. Reservations are recommended for this experience based wine bar. The feeling in very intimate and as the name suggests its like a mini retreat. The wine selection is extensive and the food is a match made in heaven. They offer 250 wine by the bottle choices and 50 wines by the glass. A great compromise for a group of friends who may not all want to drink wine. The overall vibe is local focus with a fun patio to relax on. The average customer is here to hang out with friends, break bread and enjoy a bottle or two. They offer 60 wines by the glass and 170 whiskeys. Sipping a glass of wine while watching the swan swim on the lake, that scene makes this wine bar a must-see date night spot. Just 10 miles from the strip, it seems worlds away. They offer a high-end menu that pairs nicely with the 950 labels they have available.